Take action now to stop a blatant land grab and protect this national treasure and sacred resource of the Gwich’in people. In its ongoing efforts to fast track oil and gas development in the Arctic National Wildlife Refuge before the next presidential election, the Bureau of Land Management released a hastily prepared Environmental Impact Statement (EIS) at the end of December. The draft EIS is far from adequate and does not comply with legal requirements. You can help. Please review and comment on the draft EIS by the March 13 deadline. Instructions are included below. Let the Trump Administration know that an accurate analysis is needed. In less than a year, the Trump Administration slapped together an Environmental Impact Statement, based on pre-existing data and research from other regions in Alaska. The draft EIS brushes aside the subsistence and cultural resources of the local Tribes. Under the law, an EIS is supposed to consider all potential impacts on the environment and local communities, but this document falls well-short of that requirement. For example, it does not include an adequate analysis of the effects on the Porcupine Caribou Herd, which calves on the Refuge’s coastal plain, or the Gwich’in Tribes who depend on them; the analysis fails to include Native knowledge from the people most intimately familiar with the region; and, as it compares outcomes for alternative scenarios, it does not even consider the option of NOT opening the Coastal Plain to leasing. Let the BLM know that it must follow the law and provide a thorough and accurate analysis of the effects of opening the Arctic National Wildlife Refuge to oil and gas exploration. Make a difference and submit your comments today. 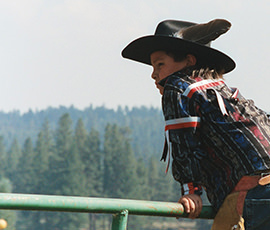 Donate now to help Native tribes protect their lands and interests. Review the Draft EIS on the BLM website. The analysis is based on incomplete and outdated scientific information about the effects of energy development on the Coastal Plain. The agency did not take steps to obtain more information or even identify the missing information—both of which are required by law. A thorough analysis requires participation of all affected parties. BLM has not consulted with all of the Gwich’in tribes (as required by law). The BLM must allow all community members to have a voice in this process. The agency cannot gauge the effects on the Porcupine Caribou Herd without complete and accurate information. This includes addressing gaps in current Western scientific data and incorporating the traditional knowledge of the peoples who have practiced subsistence living in the area since time immemorial. 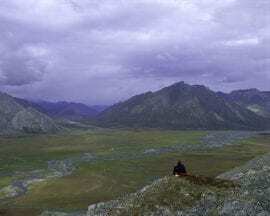 The Arctic National Wildlife Refuge was established in part to conserve wildlife and protect subsistence uses. If the refuge is opened to oil and gas development, how will those goals be met? The Refuge also fulfills US-Canada treaty obligations related to the conservation of the Porcupine Caribou herd. The agency must detail how exactly it will fulfill those treaty obligations if it allows oil and gas development in the region. The draft statement fails to include the potential effects of seismic activity of related oil and gas exploration. Seismic exploration is part of the oil and gas development process and should be included in the full analysis. Read more about the Gwich’in peoples fight to save their homelands in the Arctic National Wildlife Refuge.